Chelsey is a rising senior at Georgia Tech majoring in Public Policy with a minor in Global Development. She was born and raised in Alpharetta, Georgia and is interested in AAPI identity in the South, the intersections of LGBTQ+ and AAPI communities, and inclusive and sustainable city planning, especially regarding housing and transportation. On campus, she previously served as President of the Chinese Student Association and is currently involved with the Asian American Student Association. She is also a Diversity Ambassador, LGBTQIA Safe Space Facilitator, and works as an assistant in the Office of Student Diversity, trying to help facilitate more discussions about diversity and inclusion on campus. She is on the National Board of the East Coast Asian American Student Union (ECAASU) and Sparks Magazine, a non-profit organization that supports student-run publication in the Asian Pacific Islander American community. This summer she hopes to learn more about AAPI nonprofit work in DC, community development and housing policy, and organizing methods in order to better serve communities in Georgia and on her campus. In her free time, Chelsey likes to weightlift, read, practice tai chi with her grandma, and reminisce about Hong Kong’s metro system. Chelsey is an intern at the National Coalition for Asian Pacific American Community Development (National CAPACD). Born and raised in Houston, Texas, Cindy is a first-generation Vietnamese American. She recently graduated from Rice University with a B.A. in Psychology and Visual Arts. At Rice, she became deeply involved with the Rice Vietnamese Student Association, where she has led educational workshops for high school students of minority backgrounds and organized students on campus to embrace Vietnamese cultural heritage. Cindy was also involved with OCA-Greater Houston as a volunteer and Student Board Member. Having always been interested in environmental issues, Cindy volunteered and led service trips on environmental advocacy. At the same time, she pursued studio art, specializing in drawing and painting. Her experiences have led her to develop skills in art, education, and administration in addressing environmental and educational inequalities in communities. After realizing that she was one of few Asian Americans working in places like an art gallery or a conservation wildlife center, Cindy decided to further pursue her interests to promote the representation of AAPIs in all fields. Cindy hopes that through her career she can empower individuals and communities to organize for social justice. Through OCA National, Cindy is currently working at the DC Arts and Humanities Education Collaborative, where she hopes to represent the leadership of Asian Americans in the arts. After the summer, Cindy will stay in D.C. for a marine conservation fellowship where she will be working to reduce plastic pollution and advocate for environmental policies that will help the ocean. Cindy is an intern at the DC Arts and Humanities Education Collaborative. Devin is a rising senior at the University of California, San Diego double-majoring in Economics and Political Science. He was born and raised in Rowland Heights, California, a suburb located at the border of Los Angeles and Orange County. He identifies as Chinese and Vietnamese-American male. Not until he went to college did Devin realize the impact and importance of his identities and how that shapes the interactions and experiences he has with others. Out of this realization came a passion for social justice and working with marginalized communities to bring their issues to light. At school, Devin served as a Residential Assistant for his college, maintaining the welfare of and literally putting out fires for his residents. He also served various positions in student government, representing his college on campus wide affairs. Part of his work involved reducing food insecurity on campus through connecting on-campus resources to recycle food waste or advocating to increase funding for the on-campus food pantry. His current career prospects include helping people receive to basic needs they otherwise lack, with the ultimate goal of enacting fair wages and benefits. When rewinding and recharging, Devin loves to watch food recipe videos (or actually make the recipes), binge Netflix shows, or exercise. While in DC, Devin is excited to interact with leaders in the AAPI community and explore the issues that we face. Devin is a Programming Intern at the OCA National Center. Emily is a rising senior at the University of Washington, double-majoring in English and Political Science, with a concentration in Political Economy. She is a first-generation Chinese-American from Kirkland, Washington. With a passion for politics and advocacy, Emily has worked under Washington State Senate Majority Leader Sharon K. Nelson and Congresswoman Suzan Delbene, interned as a community organizer at the Alliance for Gun Responsibility, and volunteered for a variety of political campaigns and local nonprofit organizations. On campus, she is a member of Pi Sigma Alpha and Speech & Debate Society, and she serves as a Dawg Daze Leader to support incoming freshmen. Emily is passionate about issues such as immigration, education, LGBTQ and women’s rights, gun violence prevention, domestic violence prevention, and intersectionality. This summer, she’s looking forward to working at the Democratic National Committee to learn more about fundraising and supporting progressive candidates at the national level, as well as addressing the issues important to the AAPI community through OCA. In her free time, Emily enjoys wandering around the city and watching legal dramas, and she’s in constant pursuit of the best boba place in DC. Emily is a finance intern at the Democratic National Committee (DNC). Jaclyn Marmol is a senior at Virginia Tech, studying Political Science. She was born in Falls Church, VA and grew up in the Washington, D.C. area. Jaclyn is a second-generation Filipino-American and the youngest of six children; her parents immigrated to Washington, D.C. in the late 1980s/early 1990s, followed by her older siblings. Jaclyn is a proud aunt of her nephew and five nieces. On campus, Jaclyn served as the president of the Asian American Student Union (AASU) and student worker for the Asian Cultural Engagement Center, as well as a member of the Commission on Student Affairs and Order of the Gavel, a leadership honor society. Through her efforts with AASU, the Asian Cultural Engagement Center was established at Virginia Tech; she has engaged with the APIA community through gatherings and forums dealing with race relations, the model minority myth, and other current social issues within that space. Jaclyn's interest in politics and government was sparked by her heavy involvement with advocacy work on campus and a drive to create positive change in the community; she hopes to learn more about how to be a better advocate for the community and how to be more involved in government at all levels. Jaclyn is happy to be back where she grew up and to rediscover the nation's capitol; she's most excited to check out new coffee shops, museums and exhibits, and be with her family for the summer. Jaclyn is an intern at the Asian Pacific American Institute of Congressional Studies (APAICS). Jaslin Kaur is a rising senior at the City University of New York, Hunter College studying Women & Gender Studies, Globalization, and Human Rights. She proudly holds an A.A. in Multidisciplinary Studies from Nassau Community College. As she was personally affected by domestic violence, Jaslin works to unite women against gender-based violence. She has presented her research on politically-charged sexual violence in Kenya and Syria at the United Nations 62nd Commission on the Status of Women. She has also spoken on child marriage at the United Nations DPI NGO Chat Series. Jaslin has advocated on Capitol Hill to senators on gender-based violence affecting undocumented and AAPI women as well. In the past, Jaslin served as Dean at Sadie Nash Leadership Project where she taught social justice activism to young women of color. She continues to serve as the Programs & Outreach Director at One Girl Inc. where she co-founded the Women in Charge leadership conference. She is also a volunteer organizer at AF3IRM NYC where she teaches self-defense workshops at the Summer School of Women’s Activism. Jaslin is now Co-Founder of RefuGirl in New York City, an effort to offer mentorship and leadership training to young refugee and migrant women. Jaslin has been featured in make/shift Magazine, Glimpse Magazine, WBAI 99.5 FM Pacifica Radio, WHPC 90.3 FM Radio, and on ITV Gold network. In her free time, Jaslin enjoys practicing and teaching Shotokan karate, cooking, and running. Jaslin is an intern at National Asian Pacific American Women’s Forum (NAPAWF). Lauren is a rising senior at Pomona College majoring in Neuroscience with a minor in Asian American Studies. She grew up in North Carolina before moving to California for college. In college, she has taken classes and engaged in discussions that have allowed her to reflect on and explore her identity. On campus, she worked in a neuroscience lab investigating the effects of stress on learning and memory. She was also a mentor for the Asian American Mentor Program and now works at the Asian American Resource Center. Last year, she worked with campus groups to advocate for immigrant rights and increase dialogues surrounding class and access to higher education. She also helped with a program engaging with Tongan youth and families in surrounding regions. She is interested in finding ways to use her work to benefit communities both on campus and past the walls of her school. Lauren’s experiences in class and outside of the classroom have inspired an interest in public health. She is returning from a semester abroad in Buenos Aires where she studied public health and barriers to health care for the Chinese populations of the city. She is interested in improving access to health care and working to resolve health disparities. She hopes to explore future career paths through this summer experience at OCA. Lauren is an intern at the Hepatitis B Foundation. Lena Pham is a recent Hendrix College graduate with a B.A. in Anthropology and an Asian studies minor. She grew up in Arkansas and is a second-generation Vietnamese American. While at Hendrix, she conducted research on the gendered organization of toy stores and constructions of South Korean masculinity. She served as co-president of the Asian Cultures Club and managed over 10 Asian cultural events throughout the school year. She also worked as an Asia Programs intern at Heifer International and developed a report that documented Heifer’s operations in Vietnam. Last summer, Lena participated in LEAP’s (Leadership Education for Asian Pacifics) Leadership in Action internship program in Los Angeles. Through LEAP, she was placed at the Thai Community Development Center (Thai CDC). At Thai CDC, Lena helped to organize the 22nd anniversary commemoration of the El Monte Thai Garment Workers Slavery case and assisted with document preparation and case management of Thai human trafficking victims. Lena is currently working as a Policy Intern at OCA, and she is excited to learn more about the issues facing AAPI communities. She is passionate about research and the ways that it can empower AAPI communities. In the fall, she will work as an Assistant English Teacher in Japan through the JET program. Afterwards, Lena wants to go to graduate school for Applied Anthropology and conduct research in AAPI communities. 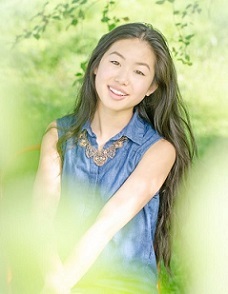 In her free time, Lena enjoys learning languages, practicing Taekwondo and traveling. Lena is a Policy Intern at the OCA National Center. Madison is a rising junior at Georgetown University studying healthcare management and policy with interests in data science, education policy, and human rights. His recent position at the Beeck Center for Social Impact + Innovation has pushed him to think more broadly about data’s role in policy innovation and its potential to be an advocacy tool in addressing disparities across the health and education sectors. In high school, he participated in the Human Right's Foundation "Hack North Korea" hackathon. Later continuing his project in Seoul with North Korean defector groups, his passion for human rights work grew from there. In college, he joined his college's North Korean human rights group and the political awareness committee of his Asian American Student Association. He has also been active in the education space for many years and seeks to advocate on behalf of immigrant, low-income communities of color. He eventually wants to practice medicine with a particular interest in the social determinants of health and with the desire to make healthcare more accessible for low-income and queer/trans folks. Born and raised in the DC/MD/VA area and growing up in a strict, Confucian household, he has always had a very one-dimensional relationship with his Korean and Asian American identities. He hopes that, through the policy and advocacy work he engages in, he can build a richer sense of identity and community. In his free time, Madison can be found biking, animating, boxing, or looking for new book recommendations. Madison in an intern at Council for Korean Americans (CKA). Meloddy is a rising sophomore at Indiana University majoring in Environmental Management and minoring in Law and Public Policy. She is also pursuing a certificate in Peace Corps preparation and global service, along with a certificate for applied research and inquiry. She is passionate about environmental justice, especially because natural disasters and heavily polluted areas disproportionally harm low-income and minority communities. By pursuing a career that incorporates environmental advocacy, she hopes that she can give back to the AAPI community and those who are experiencing injustice. On campus this past year, Meloddy served as the president of the Civic Leaders Center living learning center. As president, Meloddy promoted civic engagement for those in the living learning center and provided opportunities for other students to discover their passions. She is also a member of Model United Nations, Women in Government, Asian American Association and will be the vice president of the very first Brady Campaign to Prevent Gun Violence chapter at Indiana University this fall. After graduation, she hopes to join the Peace Corps and continue to serve others with humanity in mind. Meloddy has come to be proud of her heritage as a Chinese American and wants to help other young AAPI’s recognize the importance of accepting the culture and people that they will always represent. Although she recognizes that it is not always easy, she believes that accepting where we come from is a vital step for understanding our personal truths and who we are. Meloddy is a Congressional and Intergovernmental Relations intern at the Environmental Protection Agency (EPA). Mian is a rising sophomore at Hamilton College planning to major in Public Policy with minors in Chinese and Environmental Science. With a both European and Asian immigrant heritage, she has personal ties with US’s long historical habit of “othering,” and is committed to bringing minority voices to the political arena. She is also interested in preserving human life as we know it, leading to a passion for environmental protection and policy. 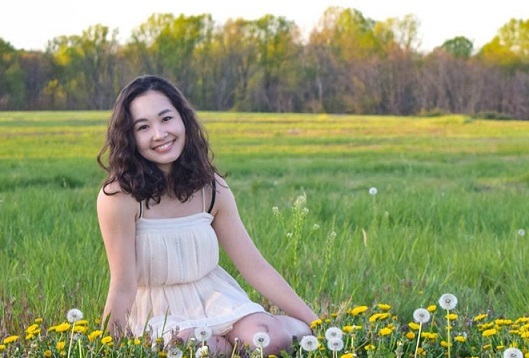 On campus, Mian is working as a Sustainability Coordinator, through which she has started Carbon Footprint Awareness Day, introduced reusable chopsticks to dining halls, and co-lead other projects to promote environmental awareness and reduce waste on campus. In extension of her environmental efforts, Mian is also an Executive Board for Vegan Club, as well as co-leader of Cram Scram, a campus-wide donation and reuse project to reduce waste. She is also involved as HamVotes Student Ambassador to promote civic engagement, site coordinator for the community service group HAVOC, and Japanese tutor. During her time as an OCA intern, Mian hopes to learn from the accomplished staff of OCA, as well as her passionate fellow interns. Mian has never really had access to a strong Asian-American community throughout her life, so Mian is looking forward to building one this summer. In her spare time, Mian likes to cook yummy vegan food, reread Jane Austen, and sing along to Kpop songs in their English parts. Mian is a Development Intern at the OCA National Center. Michael Blakely is a recent graduate from the College of William & Mary where he received his B.A. in Psychology, focusing his research on the study of close relationships, prejudice, and behavior modification. Born in California to a military family, Michael moved around since he was little, but he considers his hometown to be Honolulu, Hawaii, though his family has since retired to Chesapeake, VA. He's visited D.C. a few times before, but he is excited to explore the community more thoroughly and meet the amazing people here through the internship. Michael's family has always been very politically active and encouraged him to remain aware of the circumstances surrounding him. He took their advice to heart and ever since has been dedicated to civil rights work in education, criminal justice, and immigration. Michael likes to describe himself as unapologetically Black & Filipino and hopes to bring more attention to intersectionality in activism and ally-ship. In his free time, Michael loves going out to explore the city, dancing, and meeting new people. When he's not doing that, you can probably find him trying out a new recipe in the kitchen, reading a book, singing to himself, or making a Spotify playlist just right for a specific mood. His placement at the National Association for the Advancement of Colored People, as said by him, "could not be a better fit", and he can’t wait to dive deeply into the work. Michael is an intern at the National Association for the Advancement of Colored People (NAACP). Muyi is a rising senior at Duke University majoring in International Comparative Studies and Asian & Middle Eastern Studies with a minor in Classical Studies. She grew up in the suburbs of Seattle, Washington and immigrated to the United States from China at the age of 4. Due to the influence of immigrants around her all her life, Muyi became interested in her own identity as both an immigrant and as an American. In exploring her identity, she discovered her passion for advocating for the AAPI community and giving a voice to the causes she cares about. Muyi hopes to further her engagement and advocacy with the AAPI community as she prepares for a career in law. She has worked with the ACLU of Washington, taught English to immigrants and North Korean refugees, and worked with school organizations to promote AAPI visibility in campus settings. In her free time, Muyi enjoys watching food-related videos, pretending she knows how to make music, sleeping, playing badminton, and spending too much time on her phone (according to her mom). Muyi is a Communications Department Intern at the OCA National Center. Olivia is a rising senior at North Carolina State University double majoring in Political Science and Foreign Languages and Literatures with a concentration in Mandarin. Olivia identifies as a Chinese-American adoptee and was raised in Charlotte, North Carolina. At NC State, Olivia is a member of the University Scholars Program, Caldwell Fellows Program, Adopted Student Union and tutors student athletes for the Academic Support Program for Student Athletes. As one of the founding members of ASU, Olivia has helped oversee the start of its mentor/mentee program with young Chinese adoptees in the Raleigh, North Carolina area, and panels about the local foster care network. Olivia has also served on the Triangle-Area Asian American Student Conference (TAASCON) for two years in a row, first as a Hospitality and Registration Chair and then a Director for North Carolina State University. TAASCON brings together AAPI students and allies, from across the state together for an annual day of workshops, speakers, and activities to help individuals explore their identities and learn the next steps to bring about social change. Olivia has had the privilege of studying abroad in Nanjing, China to study Mandarin and most recently, Manchester U.K. to study international politics. All of these experiences have culminated into her aspirations for a career either involving international relations between the United States and East Asia, or international advocacy work for marginalized groups. Through the OCA Internship Program, Olivia hopes to learn how to become a better listener and advocate for the AAPI community. Olivia is an intern at the National Commission on Military, National, and Public Service. Paulina is an upcoming junior at the University of Minnesota Twin Cities. She is pursuing a degree in Human Resource Development and Business Marketing Education with a minor in Leadership. At the U of M, Paulina works in the College of Education and Human Development Student Services office as a student staff worker with the front desk and also Admissions. Within her college career, Paulina has grown interested in working closely to better her community. Following a public affairs course she took, she is now going to be a Public Achievement coach for a local elementary school that helps young youth voice and direct issues within their own community. Paulina comes from a Hmong family and is also a first generation student. Growing up and witnessing the daily challenges her family faced as immigrants helped grow her own interest in helping her community but also intrigued her to gain more knowledge about issues AAPIs face. Paulina is passionate about improving the lives of Hmong people who are faced with issues within their own community. She wants to improve the norms in Hmong society and bring more awareness to problems internally. With her majors, she plans to take what she has learned and implement it into the work she hopes to do in the future to help people of color primarily within the business field. Her goal in the business field is to bring more opportunities like careers to people of color and advocate for those who do not have voices. In Paulina’s free time, she loves to travel, weight lift, listen to music, shop, and also try new restaurants. She hopes to gain more knowledge on policy work and issues AAPIs face during her time with OCA. She is also excited to explore D.C. since this will be her first time here! Paulina is a Chapter & Membership intern at the OCA National Center. Pele Văn Lê (pay-lay van lay) is a University of Minnesota, Twin Cities, first-generation college graduate with a Bachelors of Applied Science in health services management with a minor in Asian languages and literature, leadership, psychology, and public health. He self-identifies as a second-generation Việt American male. Born and raised in Minnesota, home taught him that there is no greater power than community(s) that knows what they want. His parents are refugees of the American War in Vietnam who taught him how to love and persevere. Through his parents' story and personal experiences, he has become passionate about evolving and working towards a more just and liberated society for us and future generations. Rooted in radical love, social justice, and community development, Pele progressed with community(s) being a campus organizer, tennis instructor, conference director, student program coordinator, and a friend. He hopes to continue promoting more representation of Southeast Asians and Vietnamese Americans in politics and holding space for other marginalized communities, as we have unique challenges and considerations that are often silenced by dominant cultures. Pele loves being curious, exploring different cultures and foods, and having intellectually stimulating conversations. This summer, he is beyond grateful and excited for the opportunity to be a part of OCA National and APIAVote, advocating on behalf of Asian Americans and Pacific Islanders. Pele is an intern at Asian and Pacific Islander American Vote (APIAVote), a non-profit organization that promotes electoral and civic engagement. Shivani Parikh is a rising sophomore at the University of California Berkeley studying economics and public health. At school, Shivani is involved with the Association for Socially Responsible Business, co-founded an Indian American dance team called Raas Ramzat, serves as an ambassador for Caazam Inc, and works at the ASUC Renters’ Legal Assistance. Growing up in an Asian-Indian household, she was taught to embrace diversity and always give back to the community. Her parents are survivors of the deep socioeconomic inequality that still prevails in India, and had the opportunity to immigrate to America in hopes to achieve a better life. To this day, her parents have assisted the community in multiple ways, from hosting fundraisers for earthquake survivors in Nepal to volunteering to provide free health services and creating events that foster multiculturalism. Inspired by her parents’ journey, Shivani wants to help ensure that every citizen has economic opportunity, fairness and equity, and safe and healthy communities. Spending most of her life in Elk Grove, CA, Shivani has been advocating to safeguard the health of all Americans, especially youth. She assisted Senator Hernandez and Senator Leno in drafting smoke-free related policies for three years, leading campaign events in order to raise the age to purchase tobacco products from 18 to 21, and to define e-cigarettes as tobacco products. She hopes to continue fighting for better health-related policies as a future healthcare attorney. This summer, she is very excited to be immersed in the study of economic policy, research, and communications. In her free time, she enjoys dancing, consuming various matcha products, pretending to be a beauty vlogger, and spending quality time with family and friends. Shivani is an intern at the US Congress Joint Economic Committee. Raisa is a rising senior at the University of Pennsylvania, studying Political Science with a concentration in International Relations. She is also pursuing minors in Spanish, and Law and Society. On campus, she is the president of UPenn's premiere all-female South Asian acapella group (Penn Atma) and the Political Director for the Penn Association for Gender Equity (PAGE). Additionally, Raisa serves on the board of several university administration initiatives including one for first-generation low-income students and another for women of color. Born in Dinajpur, Bangladesh, Raisa immigrated to the United States with her family in 2009, when she was nine years old. After staying in California for a few months with extended family, her family relocated to Albuquerque, New Mexico and settled there. As part of an immigrant family struggling to establish itself in the land of opportunity, Raisa grew up watching her parents work tireless hours at multiple jobs, just to make ends meet. Inspired by her parents, she too started working a full-time job at the age of fifteen at a regional pizza restaurant. While Raisa has always been passionate about diversity around the world, it wasn't until she came to Penn that she truly started to embrace her Asian American identity and become involved in social justice and civic engagement spaces. This summer, she hopes to learn more about policy and advocacy work in DC as it relates to supporting marginalized communities and progressive causes. Raisa is an intern at Futures Without Violence, a non-profit organization that combats gender-based violence. Zoya Goodwin grew up on the island of Pohnpei in the Federated States of Micronesia. After graduating from high school, she moved to Texas to pursue a higher level of education. At Southwestern University, she studied Environmental Studies and Economics and recently graduated in May. Being the first Micronesian to attend Southwestern, Zoya embraces her identity and had always been eager to share the islands’ geographic location and cultural practices. On campus, she presented on climate change and environmental justice, taking an approach to discuss a group of people that many in the audience knew little about. This captured a professor’s interest and she spent a semester conducting independent research, taking a multidisciplinary approach on culture, education, and the Anthropocene for the Micronesian Islands. She developed a newfound appreciation for her home island and its diversity which led to recognition of the urgency of adopting climate change initiatives and the vitality of education. Zoya’s passion for cultural diversity fits perfectly with her self-identified “wanderlust” and curiosity as she has studied abroad twice during college and looks to attend graduate school in Europe or Fiji. This summer, she hopes to become better familiarized with the government system and its environmental policies but mostly how to be a better steward for the environment in the current political atmosphere, an advocate for Pacific Islanders, and to learn more about the AAPI community from her fellow newfound AAPI family. In her spare time, Zoya enjoys watching crime shows, reading books, visiting historical sites, and attempting various recipes from Pinterest. Zoya is a legislative intern at the Environmental Defense Fund (EDF).